Real Madrid struggled to find the back of the net regularly this season and scored just 23 goals in 15 La Liga games. 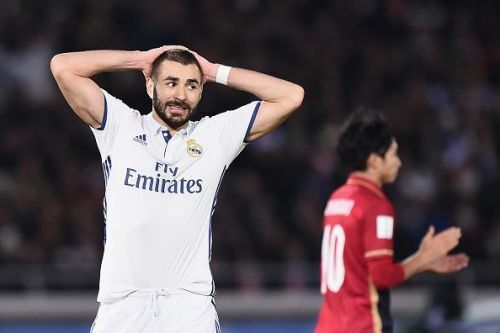 Karim Benzema is not at his best at the moment and Mariano Diaz is yet to score a league goal since his move from Lyon last summer. Los Blancos is being linked with a number of strikers lately, with Harry Kane being the most noteworthy of all. The Tottenham Hotspur striker is among the best strikers in the world, and there is not even a fraction of doubt that he would be a massive upgrade from Real Madrid's current strikers. The London-born striker won the Premier League Golden Shoe in two of the last three seasons and was going shoulder to shoulder with Mohamed Salah for last season's Golden Boot as well, but his injury during the final stages of the league saw him fall behind the Egyptian. The 25-year-old attacker is in a terrific form this season as well and bagged nine goals in 16 Premier League games thus far. However, luring him to Bernabeu might prove to be a difficult task for the Spanish Giants with Spurs currently demanding a fee in a region of £200 million to sell their superstar.